With demo permits pulled for Dallas ISD's longtime headquarters, Elbow Room, and El Corazon, there isn't much the city can do. But it can provide an important lesson. On Monday, the city’s Landmark Commission voted to move forward on initiating historic designation on three properties that already have demolition permits attached to them. It’s a last-ditch effort to get developers to at least talk about retaining some or all of the architecture of Dallas ISD’s longtime Ross Ave. headquarters, Oak Cliff’s beloved El Corazon Tex-Mex temple, and the 84-year-old building that houses Deep Ellum’s now-shuttered dive bar, Elbow Room. But the designation, which could take months to finalize, doesn’t have priority over the demo permits, which can be acted on immediately. It’s the last thing the city can do to bring the developers to the table to discuss the properties, to see if there is any potential for preservation and, if not, to see if they’ll consider taking input from the public on how to design what replaces it. “I think what the Landmark Commission was trying to do yesterday was begin a dialogue with these particular properties so that even if outright local designation never occurs with these buildings, there is at least some sort of involvement with the community,” says Mark Doty, the city’s historic preservation officer. Doty says developers are moving quicker in getting demolition permits for older buildings because of nerves that the Landmark Commission will get wind of it and act. There are three turning points in recent years that he mentions: The Headington Co.’s 2014 demolition of 1611 Main Street, a 129-year-old building that was mowed down without public discussion for the new build of the Forty Five Ten luxury department store. Then there was the desire of a Chicago developer to scrape a three story section of the mid-century modern artifact known as the Meadows Building to make way for a driveway near Central Expressway and Greenville. Then, a few months later, residents snapped photos of theater seats lounging in a Dumpster behind the Lakewood Theater, which had suddenly found itself stuffed with construction workers doing what appeared to be a demo job. Those three incidents prompted action. By September, the Lakewood Theater had protection, blocking future owners from changing the façade, the marquee, the tower, or the murals on its interior. In October, the Meadows Building had secured historic designation that protected all of its nine stories, as well as an about-face from the out of town developers, who vowed to restore the wing they wanted to demolish. And while 1611 Main is now a new shopping mecca with the same address, the public relations snafu spurred the creation of an emergency halt to demolition permits in specific historic overlay districts in Oak Cliff and downtown, which puts the brakes on the demo job for 45 days while the city reviews it. Which means: Too late. The Dallas Independent School District has maintained a sprawling art-deco headquarters at the corner of Ross and Washington since the mid-fifties. It stands in opposition to the multifamily apartment behemoths marching east toward them, four stories upon four stories of muted browns and beiges and reds that have all but wiped out the traditionally working class makeup of the street. 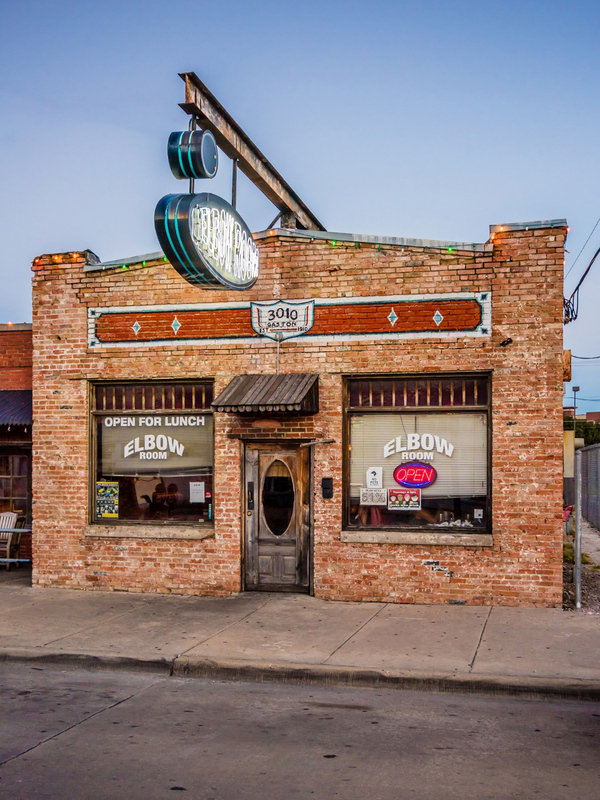 The building that housed Elbow Room, near Baylor University Medical Center, has been on Gaston since 1933 and was, at one point, home to a cleaners, a flower shop, a variety of restaurants, and a cabaret. It is one of the street’s last remaining commercial buildings. 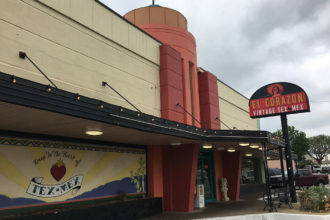 El Corazon, at Davis and Zang, started as an El Chico in 1955. Run by the Tex-Mex royalty known as the Cuellar family, the restaurant was rebranded as Tejano Restaurant in 1981, and then as El Corazon de Tejas in 2013. For many people, these are neighborhood fixtures. For others, they are impediments to development. And sometimes, what the neighborhood wants just doesn’t matter; the point is moot. 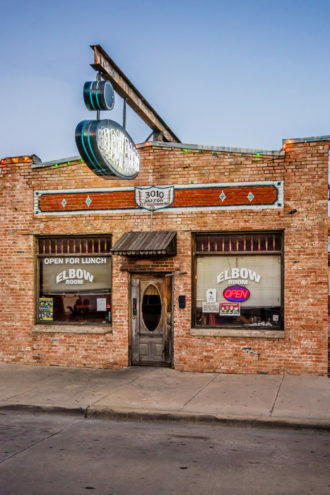 For instance, the city has no say over what happens to the building Elbow Room is in. No permit or designation can change that. Texas A&M expressed interest in Elbow Room about a year ago, coveting the land to expand the dental school it runs next door. In April, it used eminent domain to muscle out the owners. Now, it’s state property, and the city can’t do a thing—kind of like how the historic designation can’t halt the demolition permits. Shifting to Dallas ISD, it was public knowledge that the district had held a bid for the property and got a $9 million offer from Leon Capital. The district filed for a demolition permit on behalf of Leon early last month. But the scenario illustrates the sort of cat-and-mouse game that the city’s preservationists are going to face in the future with developers. The city will need to get ahead of these situations if it wants to avoid them, which means beginning this process well before demolition permits are pulled. In the past decade, there’s been an increased consideration of the importance of preserving our old buildings. Perhaps it is the success of neighborhoods like Bishop Arts and Deep Ellum, which followed Jane Jacobs’ mantra of finding new uses for existing structures. As Doty puts it, “it’s this realization of, ‘wow, our city is becoming more dense, so that means we’re going to lose some of those things that make Dallas Dallas to a certain extent.” At this point, the preservationists just want to talk. And Leon has already done so, sitting down with Preservation Dallas and the Landmark Commission to go over options. There are opportunities for state and federal tax incentives, depending on how much of the architecture stays put. Texas A&M has also expressed a willingness to chat, although it’s pretty clear that the university is set to plunk a nine story dental school—three stories for parking, six for the school—where Elbow Room is. 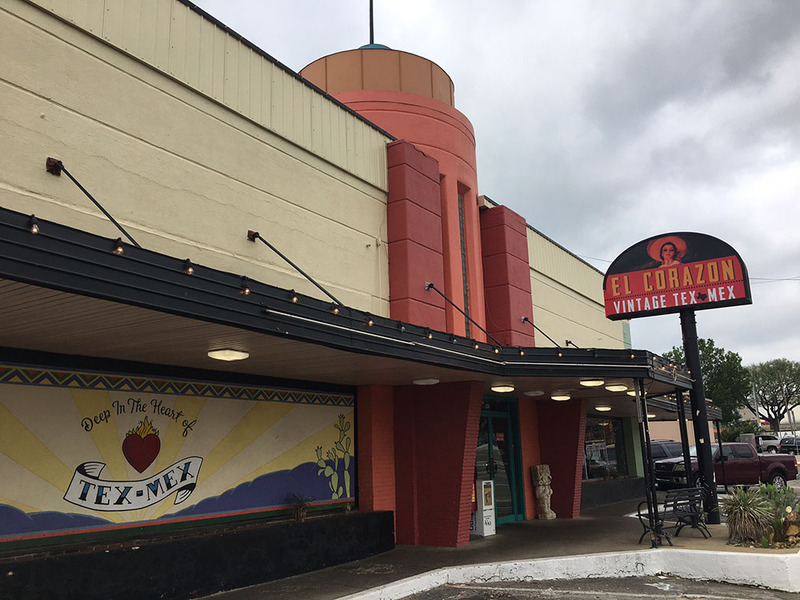 El Corazon sits a block outside the overlay district that would’ve allowed the city to review the demolition permit. It’s a sad story on many fronts—the Cuellars say the building is unsalvageable, that it doesn’t meet ADA requirements, and that a developer wanting to build a CVS on that corner made too good of an offer to pass up. And besides, if the building was so historic, where has the city been all these years? Why now? The neighborhood was up in arms because No. 1, it’s Oak Cliff; No. 2, there was no consideration of the neighborhood in the development plans; and No. 3, it is the last remaining restaurant operated by the Cuellar family, a name that is credited by the National Museum of American History with popularizing Tex-Mex. But the demo permit got pulled, Councilman Scott Griggs posted it to his Facebook, and there wasn’t much information about what the CVS would look like. El Corazon is up close with the sidewalk, allowing for interaction with the street; CVS stores are typically sunken in to the back of a parking lot, away from the street. Meanwhile, the streetcar will drop off passengers right across Davis—a big-box pharmacy will effectively welcome folks to Bishop Arts. Griggs said he’s formed a task force to “work on a new design that addresses issues of form and architecture,” adding that the CVS plans “are very suburban and nearly complete.” The developer, Birmingham-based Orange Realty LLC., expects the building to be dust in anywhere from one to eight weeks. This whole thing happened in less than a month. Which goes to show the challenge of preservation in this city—the demolition overlay is only for downtown and parts of Oak Cliff. By the time the Landmark Commission or the council gets clued into the development, it’s too late to discuss. Vigilance makes a difference.